I don’t know about you but I’m always looking for something outside the box. Something different, unique, and fun (and right now, cheap!). Knowing NaMo is coming up I particularly wanted to fill this weekend up with a lot of experiences, make it jammed packed! (I’m going to be starting at a screen for probably 12 hours a day including work and NaMo so got to be careful to keep my sanity as I write. It all started on Thursday I met my friends Emilee and Rachel M for a silent movie at the Edison Street Events. It was a really unique place. 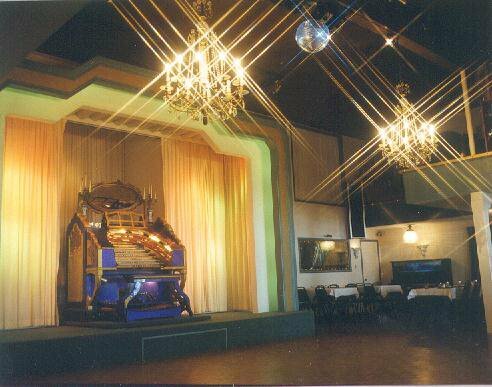 A traditional Wurlitzer theater organ that was originally built around a chicken coop and then expanded. The building is obscure and hidden away and I’m not sure how I heard of it but they were doing a screening of Phantom of the Opera (1925 version) with live organist. This is not an ordinary organ but literally the pipes completely surround the room. The keys are different too with sound effects such as drums and screams that are not in a normal organ. The screen is small but I was completely immersed. The organist was AMAZING! and never missed a beat of synchronization with the movie. He also included sections of the Andrew Lloyd Webber musical which was a lot of fun. I will definitely go back. Next up they have a Harold Lloyd screening, followed by Laurel and Hardy. So great!. On Friday I continued the fun (btw I worked 53 hours last week so it was not a complete fun ride…) by going to see my friend Etsuko’s Middle Eastern Dance recital. I am the worst dancer ever and I am not saying that to be modest. I really have almost no natural sense of rhythm or timing. Because I am so bad I appreciate anyone who is willing to dance in public and perform. I would never have the guts. 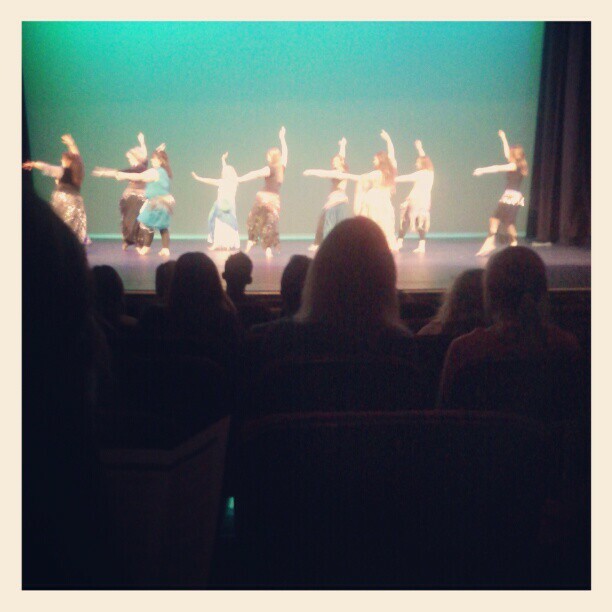 The recital was gorgeous and exciting with sword balancing, belly dancing and hip moving. I have never seen that kind of dance so that made it more fun. 3rd person from right is Etsuko. 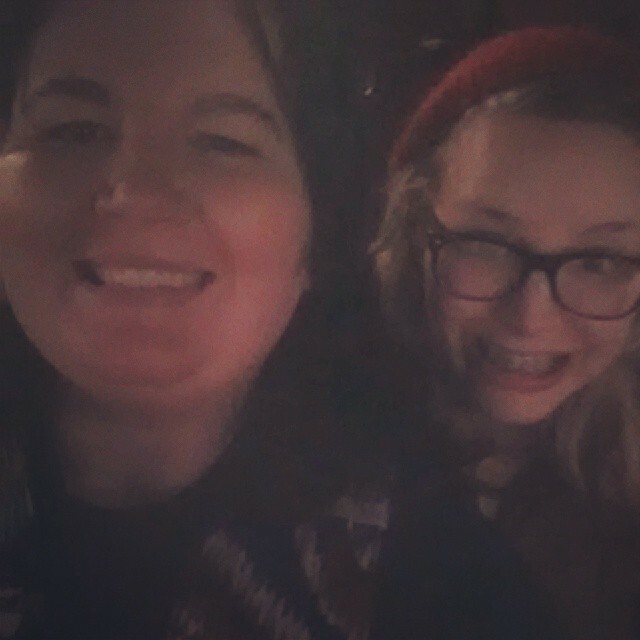 After the recital I went over to my sisters and we decided to go to a movie. Its funny because we are both movie goers yet have not been to a movie together in over a year! Crazy how that happens. I had been telling her about Perks of Being a Wallflower because I knew she would love it, so we went and saw and no surprise she loved it. ( I was so sure that I bet $100 she’d like it! Good thing I got to keep my $100). It is not a movie for everyone because of its darker elements but I’ve seen it twice and loved it more the second time. The characters are so well developed. They feel so authentic, like I can actually picture people I knew in high school saying those lines and experiencing those things. I definitely want to read the book as the movie is written and directed by the author. It is definitely an outside of the box kind of movie and those come around so rarely I’m grateful when they do. Saturday was more subdued but still a lot of fun. I slept in (didn’t get home until after 2 after chatting and shopping with Anna) and then went to the local NaNoWriMo kick off party in South Jordan. It was a little chaotic but I got to meet 2 other writers who had both done the challenge before and they gave me some tips. I feel pretty confident in my ability to finish and write something I will be proud of. The guy was writing a fantasy novel and I can’t imagine inventing a whole world and characters in one month. I feel overwhelmed just telling my own story, but I guess they are both hard in different ways. After the party I went home and then called my friend Sarah to see if she wanted to hang out and she did! I love it when you call someone spur of the moment and they are free. Doesn’t happen very often any more but makes me super happy when it does. We went to this yummy sushi place that is like 2 steps from my house (hurray new find!) and then watched an old staging of Macbeth (to get ready for book club next week) by the Royal Shakespeare Company (from 1979 with Judi Dench and Ian McKellan). The filming looked dated and was a little hard to get past but the play and performances were amazing! Again, it was just fun to watch something out of the ordinary, something I might normally have selected. I know this is a bit of a rambling post but I’m always hearing people say ‘Utah is so boring’ or ‘There’s nothing to do here’. Look at all I did in 3 days in Utah for under $20 total, $30 if you count the sushi. I’ve often wanted to make a blog of 52 weekends of fun in Utah, where you profile new and exciting things to do every weekend in Utah, give reviews, have a calendar of events etc. I think wherever you live it just takes a little bit of digging to find a wealth of fun, unique, exciting things to do with your time. And think a little outside the box. Try something new. You might hate it but isn’t that what makes life exciting? If we are totally predictable and never do anything different than we will never grow or develop. I say that as a fairly predictable, but accepting person. I know what I like and usually go for it but every now and then I push myself and decide to grow a little. Anyway, stop saying Utah is boring and get out and do some of the great things we at our fingertips! 1. The mountains/outdoor activities- Anyone in need of inspiration? Just look at the mountains surrounding you from all angles ( it’s a valley for goodness sakes!). I admit I don’t hike in them as much as I should, but I hope to improve upon that in future months. There are tons of outdoors activities to participate in year-round. Of course, there is skiing, snowboarding, cross country skiing and snow shoeing (and sledding!) in the winter, but there is also swimming, tubing, boating, hiking and exploring throughout Utah but especially at its 5 national parks. 2. 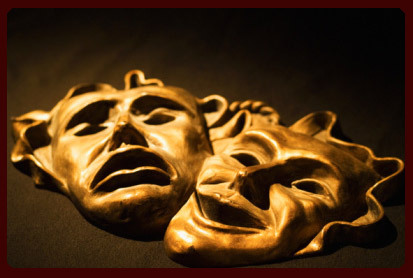 Amazing local culture- From the moment the pioneers settled in Utah Valley (and even in Nauvoo, Illinois) there was a tradition of theater, music and art in the state. One of the first buildings dedicated by the Saints was a theater and even Brigham Young acted several times. Now there are local symphonies, theaters, ballets, operas, museums and choirs (including of course the Mormon Tabernacle Choir). 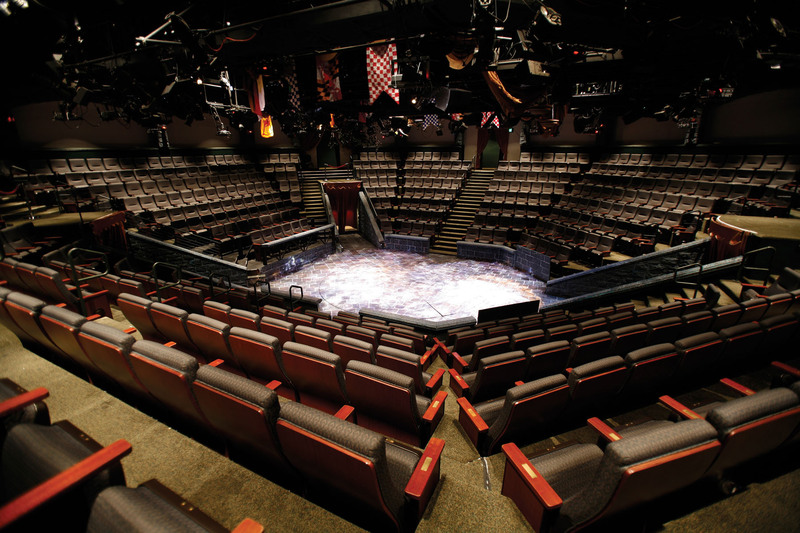 The Shakespeare festival in Cedar City, UT won a tony award for its amazing summer productions. Hale Center Theater is always wonderful (Broadway level performances). There are great shows by BYU, UVU, and the U. Plus, the Utah ballet, Utah symphony and Utah opera are all well regarded around the country. I think a lot of people were surprised when they came for the Olympics by how much culture Utah had to offer. I also appreciate that most of this art, theater and music is low cost and family friendly. 4. Burgeoning food town- By my count Utah has been featured 7 times on food network in recent years. 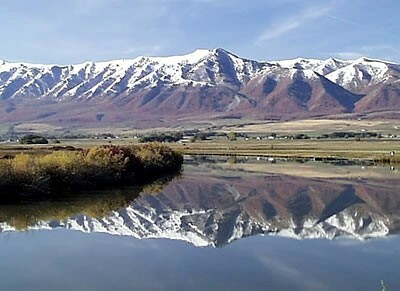 While Utah County still falls short, Salt Lake and Park City are loaded with great places to eat, farmers markets, bountiful baskets, organic shopping and eclectic stores. I’ve had delicious Mexican, Italian, Japanese, Thai, Indian, Greek and American. Its not all chains people! The Lonestar Taqueria profiled on Diners Drive-in’s and Dives is delicious. Great fish tacos! 5. A heroic past- I like living in a place that is steeped in history. The Mormon pioneers sacrificed greatly to come here and it is wonderful to learn of their stories. I love going to Temple Square and the other sites and don’t do it half as much as I should. There are also lots of smaller sites that are fascinating such as Cove Fort. I love going down to BYU and walking around campus. I changed so much there, it moves me feel of its spirit. 6. Personal Gifts- The last item is all the benefits Utah gives that are unique to me. 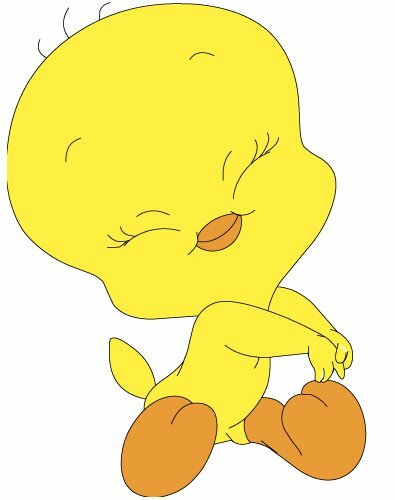 I love my friends, voice lessons, gym, apartment and job. I wouldn’t trade those 5 things for all the glamor of living in New York or DC. (my apartment would probably be $2000 a month if I did!) The other advantage that Utah offers me is that my family comes all the time but they don’t live here. This allows me to be a part of their lives but still have my independence. There is nowhere else I could do that. I love my life here and even with the snow (which we’ve had a lot of lately) and the cold it is far worth it. So, come out here for a visit! I have a guest room (and a pull out sofa) so put it to use. I promise I will show you a good time! Come and see this state I have grown to love living in. I will be your own personal Utah Chamber of Commerce!